Scores & times: @ end of play day one. Deep in the heart of Africa a tribe of traditional Maasai Warriors are about to set out on another adventure of a lifetime – swapping their mud huts for skyscrapers, and their spears for cricket bats. For the first time ever, members of this colourful nomadic tribe will be in Sydney for the Primary Club of Australia’s Marathon Cricket Event and will take on the Sydney Swans and a combined Rugby/Rugby League Legends team in cricket matches on the SCG on Thursday, 4th February commencing at 4pm. The Maasai Warriors, who are world famous for their traditional jumping dance, will be dressed in their red tribal costumes for these historic matches against a multitude of AFL and Rugby legends, including Adam Goodes, Jude Bolton, Phil Waugh, George Gregan, Andrew Mehrtens and Wendell Sailor. It’ll be a first for the Sydney Swans and the Rugby boys, a first for the tribal warriors, and a first for the Sydney Cricket Ground! The remote Kenyan villagers, who have only been involved in cricket over the past five years but have already played at Lords, are appearing for the Primary Club of Australia, a registered charity. Since its inception some 40 years ago the Primary Club has raised $5 million for sporting and recreational facilities for the disabled. 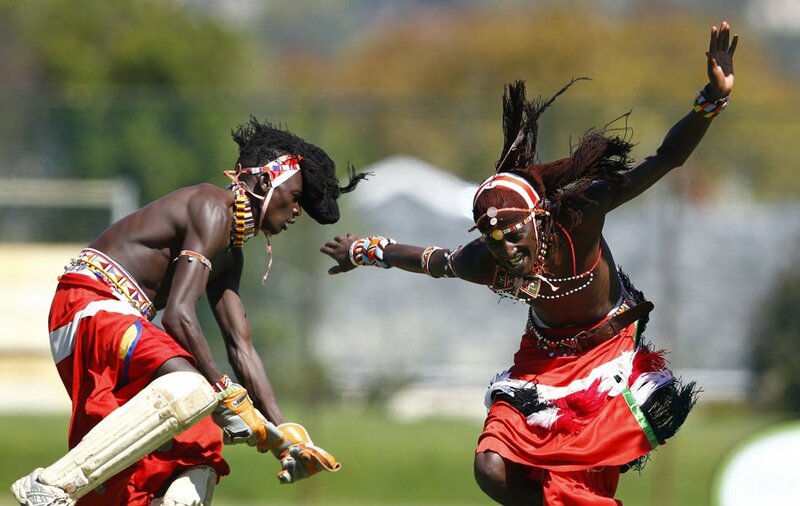 The matches involving the Maasai are the centrepieces of the Club’s annual Marathon Cricket event, which runs over two days and gives 500 everyday Aussies the chance to play on the SCG. It’ll be a dream come true for these Maasai tribesmen, who will call Australia home on a nine day whirlwind trip. Their busy schedule will commence on Tuesday, 2nd February with a kick around with the Swans at the SCG, followed by a visit to the Opera House and a trip on the Manly ferry. Then later that day it’s back to the SCG for some batting practice in the nets ahead of the big cricket clashes and a “warm up” game against Sydney University that evening. See details below of their Sydney schedule before they head off to Bowral on the Saturday for a visit to the Bradman Museum and more cricket on Sunday. Imagine a cricketer who is a semi-nomadic cattle herder living amongst the wild animals of Africa. Imagine him who wears layers of beads; who sets fire on the field with his bright red clothes and flying braided hair; he who gives war cries while throwing or hitting a ball is actually a crusader from peace. Imagine him – a Maasai tribesman – playing a T20 match. Unbelievable ? 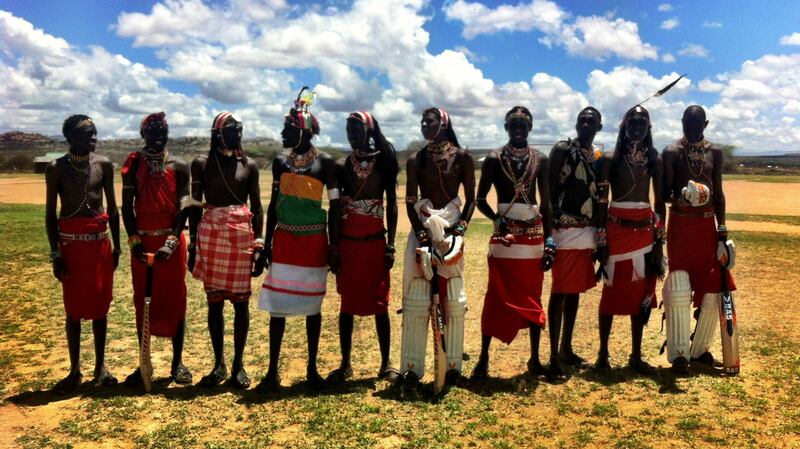 Then you ought to meet the Maasai Cricket Warriors. Maasai Warriors from the Laikipia region in Kenya have exchanged their spears for cricket bats and they are using cricket as a vehicle to empower youth and to target social problems in order to bring about positive change in their communities. 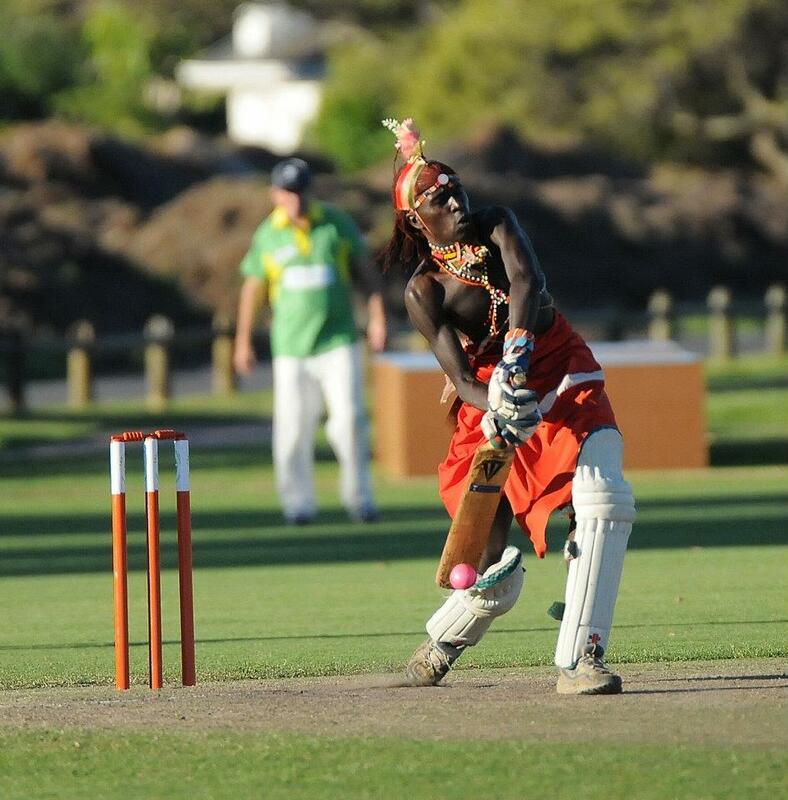 The Maasai Cricket Warriors, who will be fully clad in traditional attire, will be coming to Australia in February 2016 to play against cricket teams across Sydney. The highlight of the trip with be two T20 cricket matches versus teams during Marathon Cricket – an event created by the Primary Club that raises money for sporting and recreational equipment for people with disabilities. These matches will be played on the hallowed turf of the Sydney Cricket Ground. 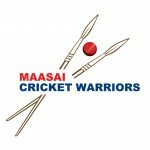 In addition to the Maasai Cricket Warriors being avid cricket enthusiasts with abundant talent they are also role models in their communities where they are actively campaigning against retrogressive and harmful cultural practices such as FGM (Female Genital Mutilation) and early childhood marriages and fighting for the rights of women in order to eradicate discrimination against women in Maasailand. Through the ethics and principles of cricket the warriors learn to respect one another and to foster peace and unity through the spirit of sportsmanship, while at the same time promoting healthier lifestyles and spreading awareness about HIV/AIDS Awareness amongst youth. The Maasai Cricket Warriors are now engaged in the production of a documentary film called”Warriors” which highlights how the team are using cricket and the unity of sport to battle HIV and fight for women’s rights. The ‘Cricket Warriors’ feel education and change is the only way to secure the health of the community, provide equality to their society, and as a result protect their future. But this has been the Maasai way of life since the founder families, and the elders fear changing these traditions will herald the end of the Maasai. The struggle between identity, heritage,and development is something that resonates across the globe – even in the game of cricket itself. The Maasai Cricket Warriors received an invitation to compete in the Last Man Stands World Championships, which took place in London, United Kingdom in August – September 2013. During the event – the players had the opportunity to play at Lords. Looking at Marathon Cricket – November 2014 – A really great ABC story about Last Man Stands and Indigenous Cricket. We had a very successful Marathon Cricket event. Of the course of the two days, our two photographers took over 12,000 photos. We have uploaded smaller versions of the photos to FLICKR. Larger (printable) versions are available for purchase – individually or as a set. Sir Donald Bradman first visited the SCG to watch a Test as a 12-year old with his father and became inspired to play the game seriously. “I shall never be satisfied,” he told his father, “until I play on this ground”. Now everybody can live the Don’s dream, while raising money to provide sports facilities for people with disabilities, by getting a team together for Marathon Cricket 2013. Organised by the Primary Club of Australia, with the passionate support of Trust Chairman Rodney Cavalier and Cricket NSW, the charity event offers every cricket enthusiast the opportunity to play the game they love on the hallowed SCG. More than 40 teams are expected to compete in the modified Twelve/12 format. Teams are divided into two overall groups, the Twelfth Man’s XI and the President’s XI, for which they accumulate scores while playing games scheduled over two days from 7am to 10pm. In recent years, the entertainment has been boosted by a feature match. In 2011, the Indigenous NRL All-Stars (pictured} battled Cricket Australia’s under-23 indigenous team for the Jack Marsh Cup. This summer there will be a ‘Battle of the Codes’ with the Legends of Rugby Union led by John Eales taking on Brett Kim morley and his Legends of Rugby League. Dates for the 2013 event are Thursday 24th and Friday 25th January. For more details visit the Primary Club website: www.primaryclub.com or call (02} 9980 2525 for further details or to enter your team. Cricketers of all ages (male or female) are welcome, and there are corporate team packages, which include sponsorship opportunities and premium tickets to the ‘Legends of Sport’ Marathon Cricket Dinner in the SCG’s Steve Waugh Room. Priority bookings are given to financial members of the Primary Club ($50 per annum). Photos and DVDs from Marathon Cricket 2011 are now available!! Comments Off on Photos and DVDs from Marathon Cricket 2011 are now available!! During Marathon Cricket 2011 over 2500 photos were taken over the two days. These photos included team photos, individual player photos, action photos that players will want to remember forever, action photos that players will want to instantly forget(! ), photos from the Twenty20 match on Thursday evening, photos of the umpires and photos from the days. The Marathon cricket website has small photos for you to download and send to friends via email. Larger photos are available for purchase for a nominal amount. Official photographer (and Primary Club of Australia committee member). History will be created at the SCG tomorrow night, when the first all-Indigenous match at an international cricket ground gets underway, SBS’ Nick Vindin reports. Is NRL star Greg Bird our cricket saviour? GIVE that man a baggy green. Australia’s latest slow bowling hope was uncovered at the SCG last night…Gold Coast NRL star Greg Bird. Bird wowed the crowd with his bowling skills at a charity Twenty20 match to raise money for children with disabilities. The Club has a limited quantity of Marathon Cricket shirts signed by Twelfth Man and Patron, Richie Benaud OBE, during the Marathon Cricket Event at the SCG on 19th January 2010. The shirts are white KoolDri weave shirts with Club logo and Richie’s signature, and come in all sizes. Cost is $50, incl GST. Call Anja on (02) 9980 2525 or email her at member@primaryclub.com to place an order. Sorry, no stock of XL size remains. However we do have all other sizes, XXL, L, M or S.